The backbone of today's U.S. Navy fleet, the F414 Enhanced Engine has a well-defined path to meet tomorrow's most demanding combat missions. For more than 25 years, the U.S. Navy and U.S. Marine Corps have depended on GE power. 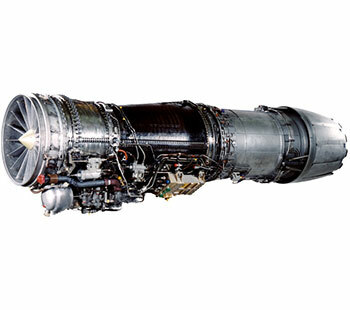 Now, the F414 Enhanced Engine is delivering expanded capabilities for next generation combat needs. With up to 18% more thrust and twice the horsepower of its predecessor, the F414 Enhanced Engine is poised to complete missions on time and on task. The F414 Enhanced Engine builds on proven experience to deliver increased thrust for air-to-air weapons improvements, increased air-to-surface capability and enhanced electric airborne attack. F414-GE-400 engines provide today's combat-proven Boeing Super Hornet and Growler electronic attack with significant survivability and payload improvement compared to earlier weapon systems. The F414-INS6 single-engine variant is in development for India’s Aeronautical defense Agency (ADA) to power the MKII version of the Tejas Light Combat Aircraft. The F414-GE-39E has been selected to power Saab's Next Generation Gripen aircraft, which was recently selected by Brazil. With 18% more power, the F414 Enhanced Engine delivers what it takes to complete a growing range of combat missions and meet rising requirements for electrical power.